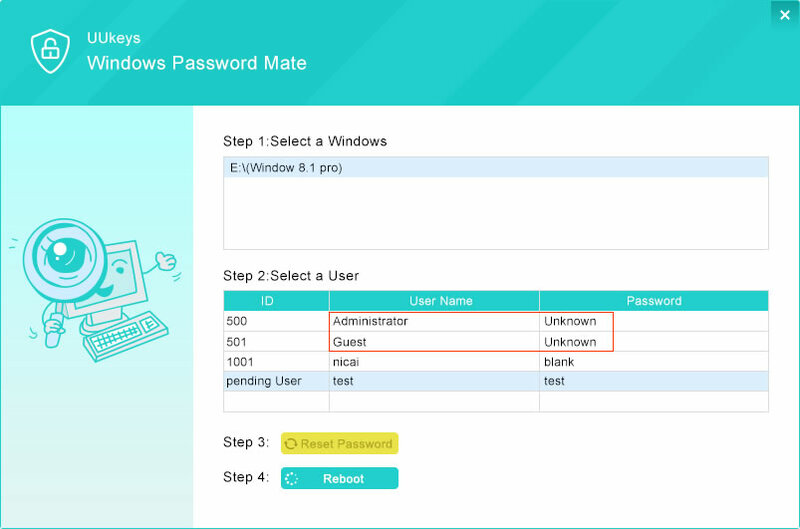 UUkeys Windows Password Mate is able to unlock Windows login password in a very fast way. It takes less than 10 minutes to help you find the forgotten password on Windows 10/8/7/Vista/XP. It applies to both normal user account and admin account. When you forgot the login password of Windows PC, then you can\'t do nothing with the computer. Now, with the help of UUkeys Windows Password Mate, you can easily recover the lost password in less than 10 minutes. You can accomplish the task by making a password reset disk. Then use the disk to reset the password of target user account. The whole process will be done in less than 10 minutes and all your data will be protected on all drives. No damage will be made to the computer. This is by far the most secure way to get into a locked computer.